My name is Viktoria Harris. My interest in natural and alternative medicine started when my daughter was born premature with various health issues that required numerous operations, medicines and drugs – some of which caused even more problems for her. It was then that I searched for, and was successful at finding, natural treatments that helped her and did not have the side-effects of regular medication drugs. Since that time I have been using primarily homeopathic remedies for my entire family. When my dog Tango got sick, I decided to try homeopathic remedies on him as well – with great success. In 2017 I founded BestLife4Pets, an online family-run pet supply company specializing in natural and homeopathic remedies for cat and dog health issues, so that I could help other pets feel better, have more energy, and be healthy naturally. One of my passions is to increase awareness of alternative treatments. We are happy to see that, as integrated medicine and alternative treatments gain popularity and become mainstream, more and more pet parents are discovering the overwhelming benefits of homeopathic treatment not only for themselves but for their pets as well. Homeopathy is a system of alternative medicine created in 1796 by Samuel Hahnemann based on the doctrine of ‘like cures like.” Homeopathic remedies use natural plants that have similar properties to the condition to cure that same illnesses or condition. These remedies are a safe alternative to traditional medicine and have been shown to provide long lasting pain relief for both emotional issues such as anxiety as well as physical problems such as joint pain and urinary infections. Winner chooses remedies. You can choose three different remedies, or three of the same remedy. For up to seven ways to enter, see the Rafflecopter widget below. This giveaway is open to readers in the United States only, and ends Thursday, March 28. Winners will be chosen by random drawing**. BestLife4Pets remedies are also available from Amazon. Discount applies to all orders of single remedies and is valid on Amazon and the BestLife4Pets website. Use code BL4P30CAT at checkout. BestLife4Pets gives back to non-profit animal rescue and rehabilitation organizations so that they can continue to help animals in need. *FTC Disclosure: This is a sponsored post, which means that I was compensated to feature this content. Regardless of payment received, you will only see products or services featured on this site that I believe are of interest to our readers. **No purchase necessary. Void where prohibited. This giveaway is in no way sponsored, endorsed, administered by, or associated with Facebook. By entering this giveaway, you understand that you are providing your information to The Conscious Cat, and not to Facebook. We will never sell, rent or share your information with third parties. Winners will be notified via e-mail. Prize winner must provide The Conscious Cat with a physical address to which the prize will be mailed within 72 hours. If this information is not received, an alternate winner will be chosen by random drawing. Winners will be announced in a separate post following the drawing. i would be interested in the Pet-At-East for calming, stress, etc. it would be great to have when going to the vet or during storms. I would be interested in trying WALK-EASY, Pets-At-Ease and Flora Plus. Thank you for introducing this company to me. I’d like the Walk Easy for my 17.5 year old cat. I’d like to get the probiotic & the multivitamin. I would love to try these products!! 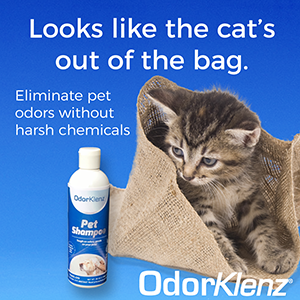 I have kitties with health and aging and stress issues, have tried another brand would love to win and try this one! I would use the Urinary Tract & Kidney Support for Cats since one of my cats has had Urinary tract inflammation. The vet said it was probably from stress so he may need the calming one, too! My previous comment I forgot to tell you what I would like if I was chosen. What a wonderful opportunity to win a wonderful gift! I’ve been looking for natural care for my boys! If I won, I would ask for 3 bottles of BestLife4Pets Glucosamine and Turmeric Joint Pain Relief Supplement for my senior Border Collie Rescues. All their products sound great, but I’m most interested in Pets-at-Ease (my senior cat, Moko, has medical issues which have me taking her to the vet every 30 days for a steroid shot, weigh-in, and medication refill and she gets very stressed – also my dogs get stressed when going in the car or when there are loud noises, like fireworks or thunder), Urinary Tract and Kidney Support Remedy (Moko’s medical situation has her using her litter box much more frequently than she used to and I worry she may get a UTI), and WALK-EASY Joint & Hip Pain Relief Remedy (both my senior dogs and my senior kitty, Moko, are showing the need for something like this). Either the urinary one for cats or the calming one. I would be interested in the urinary tract and the Pet At Ease. I have male cats and they really don’t like riding in the car. If I won, I would choose Walk-easy for my 2 older cats, and Pets-at-ease to help my 5 cats accept the foster mamacat more readily instead of constantly chasing & harassing her. I would love the Urinary Tract & Kidney Support and the Walk Easy for my furr babies. I’d be interested in the Urinary Tract and Kidney Support. Both of my cats are on Royal Canin SO. I would love walk away, urinary kidney support for cats and calming. All apply to my 14 year old cat. I wouldn’t mind trying the calming remedy. Miss Kiki has stress issues ans since Lulu arrived, she seems even worse. I’ve been using Feliway but it doesn’t seem to be helping much. I would actually get one of each. My senior going on geriatric CH girl Lillia is showing signs of joint aches and pains so the Walk Easy would be for her. The Pets at Ease would be for my mom’s pup. He’s an adopted Doxie Chihuahua mix. We live in a small village where they set off fireworks- a lot! Thankfully my kitties are used to it and because they can see them out the back window I think that helps them know what the noise is. Her Guppy is just a little nervous wreck as it is and when the fireworks go off he gets super scared. Other brand haven’t helped much or his Thundershirt. The UTI Support will be good to have on hand should anyone in either of our kitty crew’s need it. I like the backstory to the brand. I feel best when it’s tried and true by the maker’s themselves.